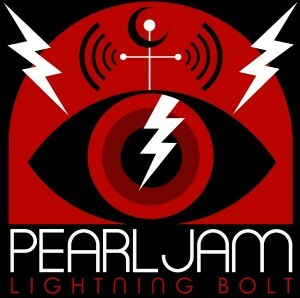 One, two, skip a few and many albums in now, here we have Pearl Jam’s newest release ‘Lightning Bolt’ their tenth and I for one am keen to check it out and see what they’ve come up with four years after their last effort ‘Backspacer’. It opens with ’Getaway’ and in the traditional Pearl Jam sound, you have the unmistakable vocals of Eddie Vedder out front, that’s really all you need to make a good Pearl Jam record, as they come in you’re sold, but it takes the second track and lead single ‘Mind Your Manners’ to give us that frantic almost at times ‘punk’ sound but this is the Pearl Jam I dig, this is fast paced, and I think this would be a monster if played live, not to mention, it has a guitar solo, so that kinda rules and a perfect reintroduction to fans. ‘My Father’s Son’ is a good with an oddly almost reggae breakdown, but let me just say that ‘Sirens’ was unexpected and welcomed, this ballad is a really interesting turn for the band, and one that I am enjoying. Lyrically it is meant and not just written if you know what I mean, and as much as I loved the rock above, this one is my stand out so far. Now, this is always my test for an album, the title track… I am intrigued as to why this song was so good that they’d name the album after it, so let’s see if it’s worthy of its naming rights… In a simple way, yes. Great song musically and structure wise and if this song doesn’t open their live shows then I’ll eat my hat. Oh and a fade out, that leads directly into the next song, Brendan O’Brien, you sir are a fine producer, with ‘Infallible’ this is a different feel for Pearl Jam, but I like it, wow, actually you know what this sounds like to me? This is the same sort of musical vibe that a band like Oasis had as it bops along but with that Seattle twang and PJ spin on it and the more I hear of this song the more I like it. Actually now that I think about it, this is somewhat of a varied album and I’m only half way through. ‘Pendulum’… whoa… this song I picture playing over the credits of a movie that has just torn my heart out, or that has left me with my jaw on the ground from an ending I wasn’t expecting, cue this sombre, haunting track that would have me walking out of the cinema slower just so I could hear it and try and comprehend what I just saw. Anyway, I’ll stop writing movie scripts in my head just so I can use this song and just say that I am impressed with this song, they’re really throwing me for six on this release, and well done. Ooh as a qualified audio engineer I love fun little recording tricks, and the guitar panning from the left to right speaker as ‘Swallowed Whole’ kicks off makes me happy, as this one starts with an acoustic type vibe it does rock itself up as the song builds in the chorus and slower in the verses, but another guitar solo shreds itself in there and keeps the vibe of the song up there which is a great way to fade it out. Let’s get a little bluesy with ‘Let The Records Play’ and this one is OK, feels like a bit of a filler for me, but only because it’s not as strong as previous tracks, either is ‘Sleeping By Myself’ which may have worked better on Eddie’s solo album ‘Ukulele Songs’ and my hope is that this album doesn’t just peter out, I want it to go out rockin’ and here’s hoping it does. With only two tracks to go, ‘Yellow Moon’ is another slower one and I guess the saving grace here is the guitar tone which is suited perfectly to this track. OK ‘Future Days’ what have you got for us to finish off? Pianos… ok… well you were unexpected… curse you Vedder… you can write a bloody good song. As much as I wanted to rock it out, this song is really, nice… and I honestly know that nice isn’t a word that should ever go with Pearl Jam, but, it this song just is… Lyrically it’s one of those songs that gets to you. In fact this song plays over the credits of a happy movie, one of those ones where you get the ending you want, the guy gets the girl and we all cheer. In fact, Pearl Jam, start writing songs for movies, do it, you’ve got a knack for it… well at least if I write my movie, I’ll be in touch. 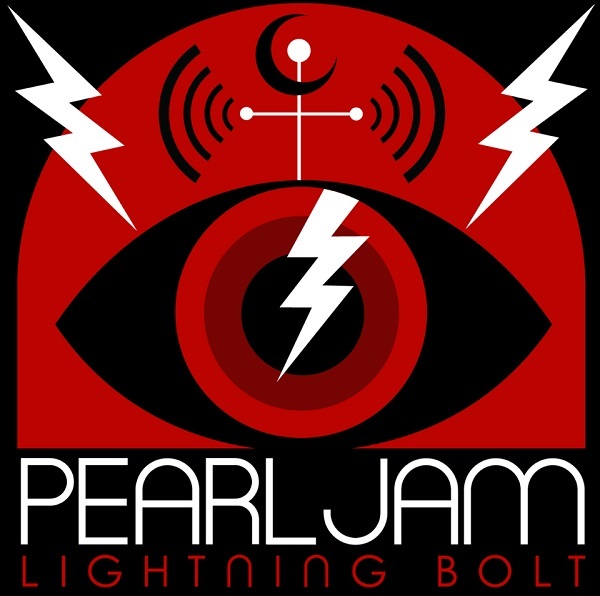 In closing, I feel like the ‘aggression’ of the 90’s grunge era is long gone and now it’s about producing just good songs and as Pearl Jam have grown over their career as has their sound and approach. Sure not everything they’ve done over the years is perfect, but they’re still making music and it’s better than a lot of the music that bands from their era are still making. This was a solid album, although I would’ve wanted a bit more rock at the end, but what they came up with was pretty damned good.